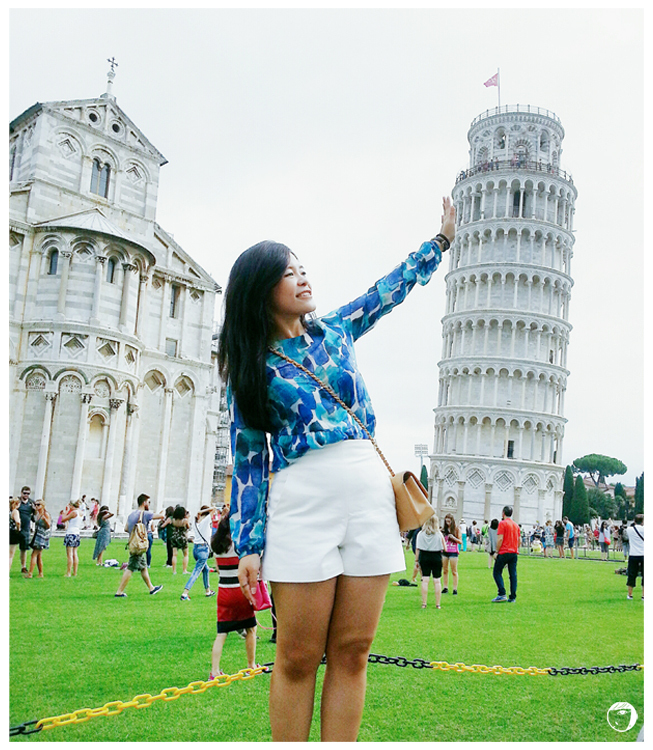 My trip too Venice was a last minute and sudden plan. 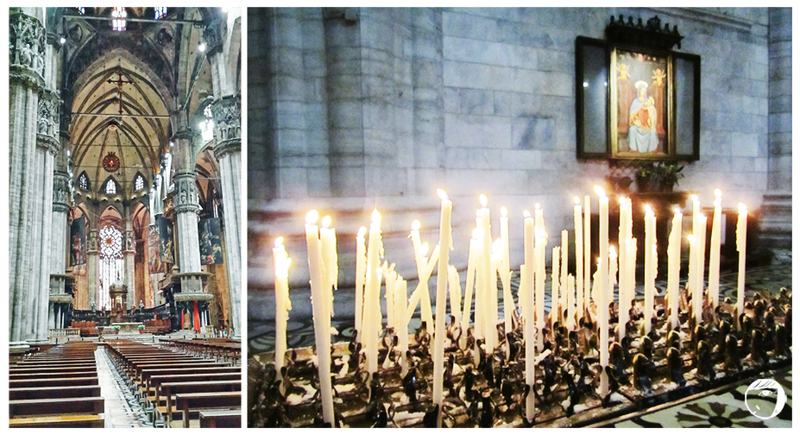 Since we were at Rome and it was only 4 hour train ride, we went to Venice for a day trip. So we bought our ticket in the train station the day before our departure to Venice. 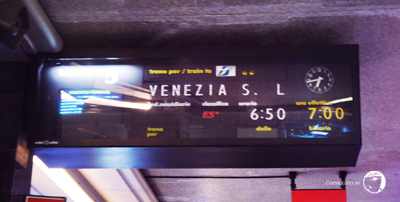 We took the first train for Venice at 6:50AM. Lucky the guesthouse we stayed in was nearby to the train station. It was only 3-5 minutes walk. So we were on-time for the train. 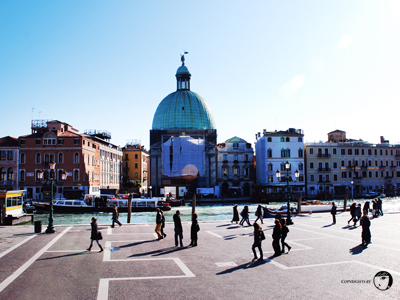 About 10.50AM, we reached Santa Lucia train station at Venice. 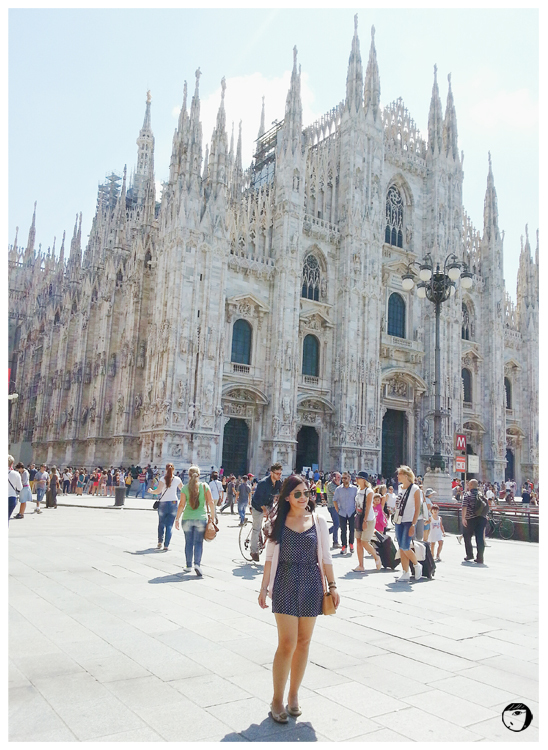 The city amazed me. It is so beautiful despite of being surrounded by water. 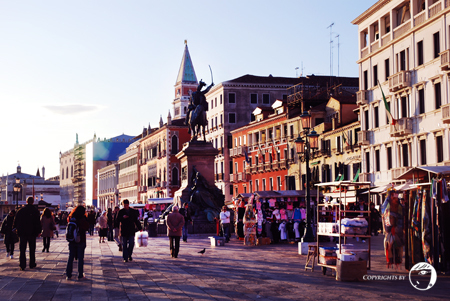 I would say Venice is more beautiful than Rome. This is the view outside the train station. Beautiful right? 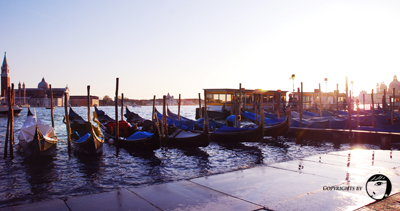 To get to Piazza San Marco, we took the water taxi. 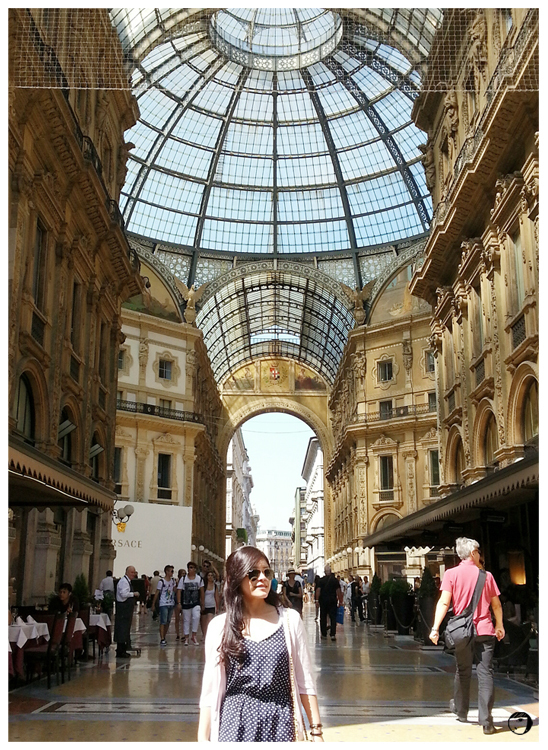 At Piazza San Marco, we went to St Mark’s basilica and Doge’s Palace. Not to forget, we experienced hopping on a gondola rides with a handsome and young gondola man. 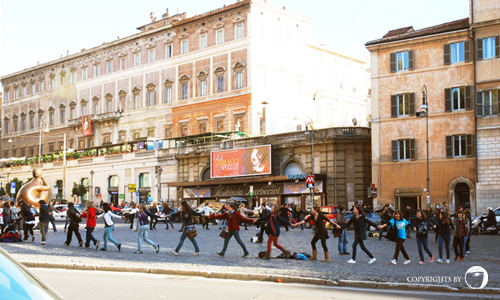 Although it was quite tiring because we had to head back to Rome with the last train, but it was a memorable trip. 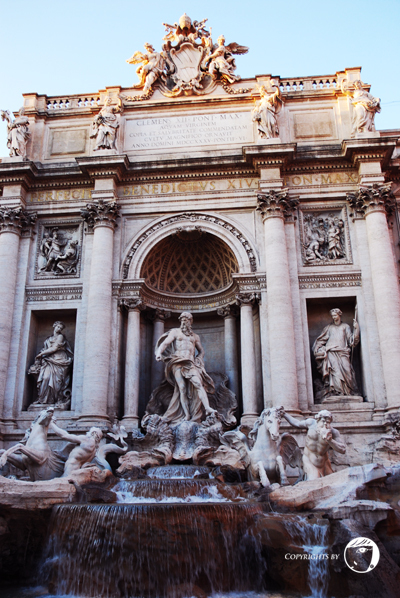 Our last stop in Rome is Fountain de Trevi, the largest Baroque fountain in Rome and one of the most famous fountains in the world. 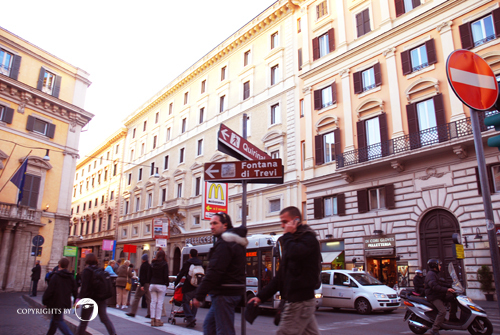 We took metro again to the nearest metro station: Barbarini. From the metro, we walked for a few blocks to the Fountain. 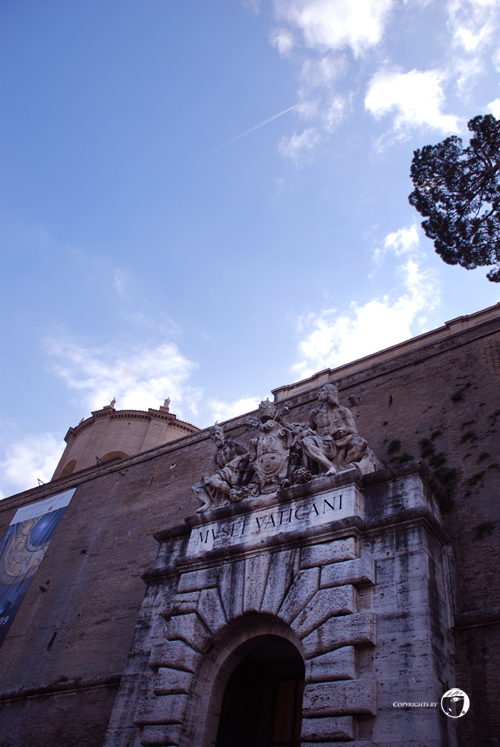 It was interesting to see Rome architecture which mostly consisted of the dome and the arch. On our way to, we saw this group of people running around in a big circle. Maybe they were playing some games or doing some activity. This signage showing that we were almost there. There were a lot of people going to the same directions too. The fountain was full of people. Just like the rest of the visitors, we took a coin and throw it into the fountain. 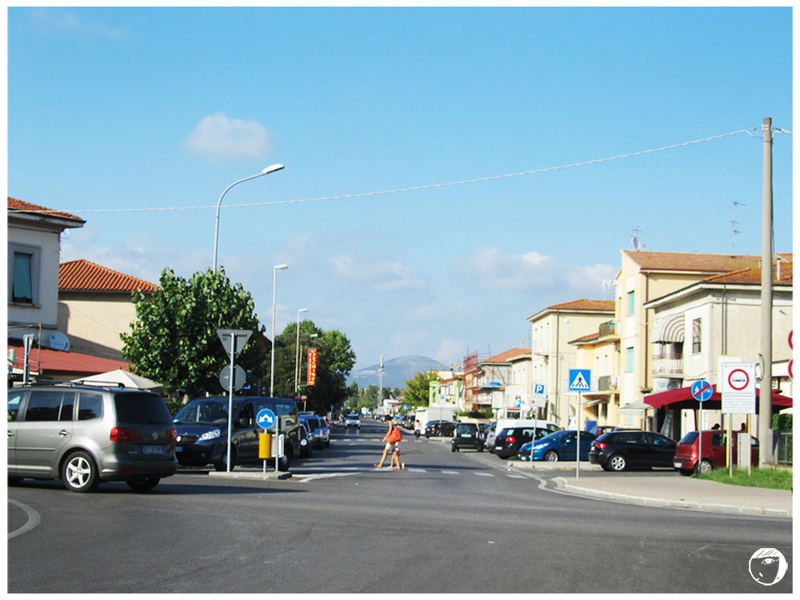 It is believed that by doing that, we can return to the city. If the day before, St.Peter’s amazed me with its great structures, Museum Vatican did the same too. Almost all the walls in the whole museum decorated by painted, done personally by Renaissance artists. I really wondered how they could paint the each of the ceilings. They were so breathtaking.. Finally we entered the Sistine Chapel and could see the most famous painting in the world: The Creation of Adam and The Last Judgment, both by Michelangelo. I really wanted to share the picture here, but I should not. The room was strictly guarded by the securities and they did not allow any pictures to be taken in this room. After a few hours exploring the whole museum, we headed to the famous Colosseum. 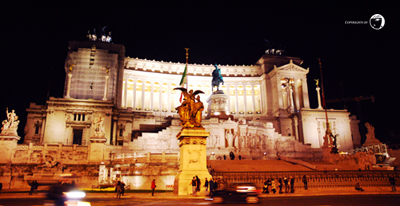 On our way there, we pass by one of Rome’s most notable monuments called Monument of Vittorio Emanuele II. After walking for quite a distance, we saw the shape of the Colosseum from far. We did not go in because it was late and they have closed the place. So we only walked around the amphitheaters. To be frank, the place was quite spooky. 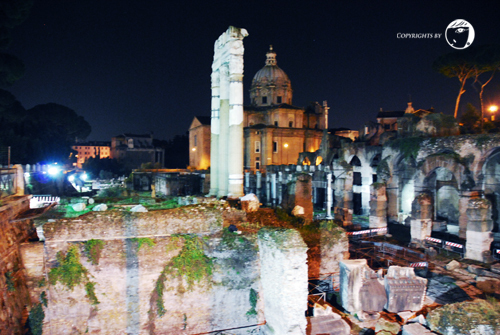 On our way back, we passed by another attraction which called The Roman Forum. 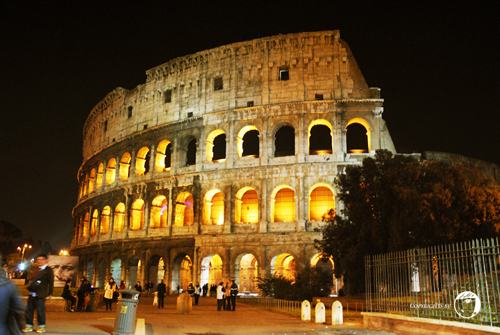 It was the Forum of ancient Rome that also became the centre of the city’s politics and business at the time. While visiting Rome, we made a visit to Vatican, officially the smallest country in the world, located entirely within the city of Rome, Italy. Vatican City’s boundaries are undisputed even though the country is located entirely within the city of Rome. Some of Vatican’s famous places of visit are the St. Peter’s Basilica and St. Peter’s Square, Vatican Museum and Sistine Chapel. The state is ruled by The Pope and has a population of 842. We took metro to St.Peter Basilica Station and walked to the stone wall which is somehow the border line of the Vatican and Rome. We entered Vatican through St. Peter’s Square. 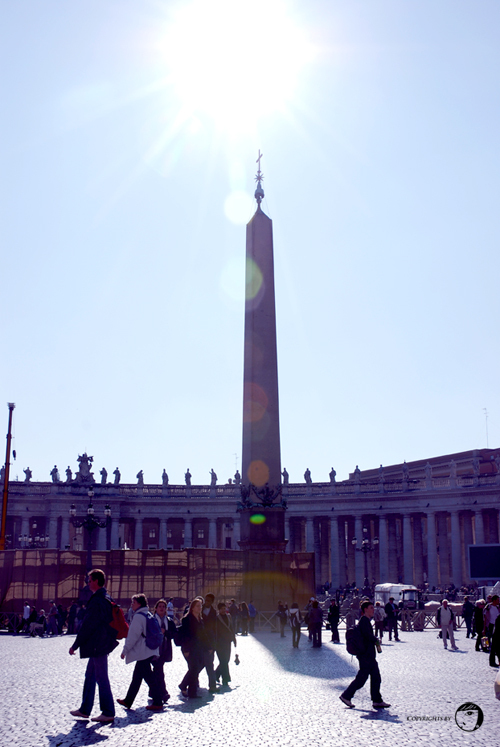 From the gate, we were welcomed by Bernini’s Piazza di San Pietro and St. Peter’s Basilica. 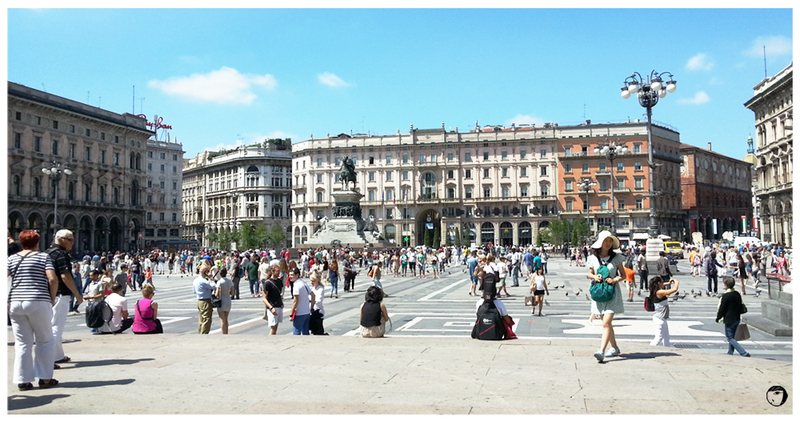 The Square is huge and can fit thousands of people. If Rome is not as beautiful and clean as what I expected, Vatican is so serene, cleaner and amazed me. 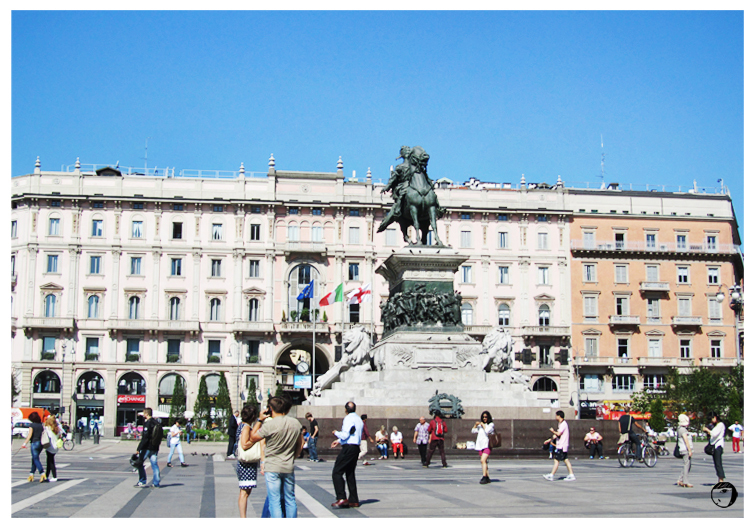 I’ve seen the Square in ‘Angels and Demons‘(by Dan Brown) movie, but to be there and saw directly with my own eyes, it was an unforgettable experience. 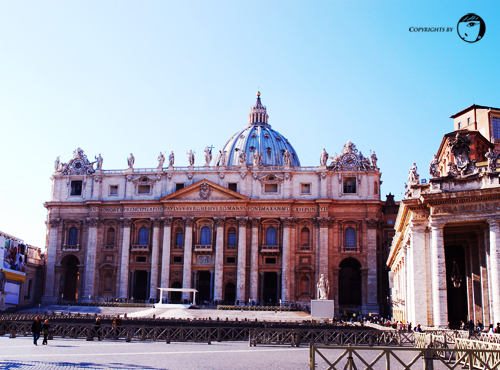 St. Peter’s Basilica, is the most important and the largest church in the world. 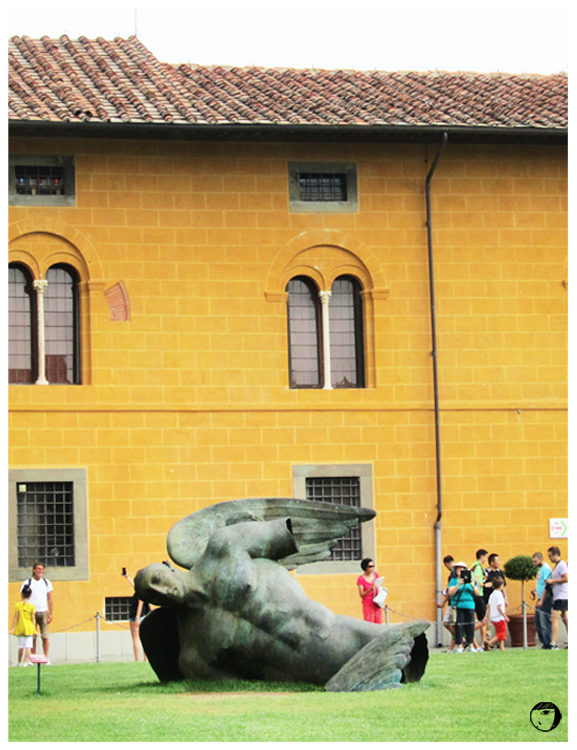 It is designed by Donato Bramante, the famous artist Michelangelo, Carlo Maderno and Gian Lorenzo, renowned sculptor/architect. 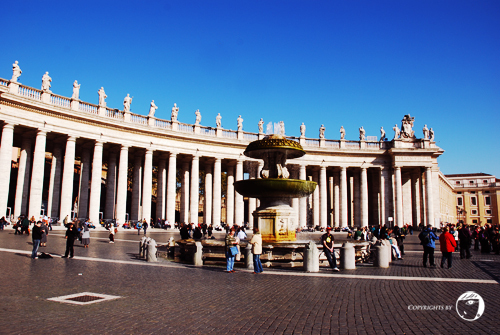 The enormous dome of St. Peter’s was designed by Michelangelo. Entering the church, everyone will be wowed by the interiors and the architecture. The place has a lot to offer. Great structures, carving, gold coated pillars and ceilings telling their own stories… No matter you’re a Roman Catholic or not, you will end up admiring them. The most famous monument in the St. Peter’s Basilica is the Michelangelo’s Pietà, a marble sculpture of Mother Mary holding the dead body of her son, Jesus. Our lunch was late. So we just went into any restaurant nearby and ended up eating pasta (again). 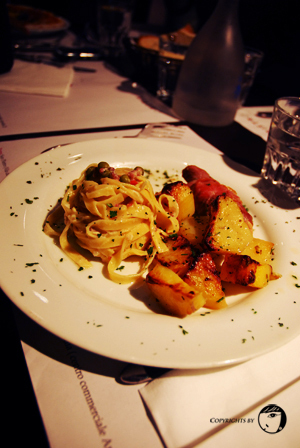 My lunch was fettucine with bacon and potato. Looked delicious, but the taste was alright. We saw this mini van when looking for the place to eat. 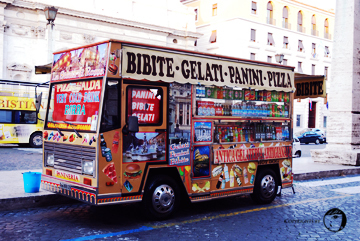 Obviously, they were selling snacks / italian food too. Panini, Pizza, etc… I like the way they decorated the mini-van, attractive and colourful.